The Woodleigh Residences in Bidadari town centre is a rare mixed commercial and residential development fully-integrated with The Woodleigh Shopping Mall, Woodleigh MRT Station and the first air-conditioned Underground Bus Interchange. The developers will also work hand-in-hand with the People's Association and the Singapore Police Force to build integrated 6000 square metres community club and a 2,200 square metres police post. There is also a Childcare centre within the Community Club. Jointly developed by Kajima and SPH, the condo and its 2-Bedroom to 4-Bedroom apartments will be the epitome of high Japanese standard and precision. The Woodleigh Mall within the development will enjoy a high quality tenant mix and will be managed by SPH. Overlooking the huge Alkaff Lake and 10 hectares of Bidadari Park, it offers nature at a huge scale at the doorstep. The Woodleigh Residences is within 1 km from popular Cedar Primary School (co-ed), Cedar Girls Secondary and Maris Stella High School (Pri and Sec). The Woodleigh Residences is just across the road from Stamford American International School, presenting investors a ready source of high-paying expat tenants. 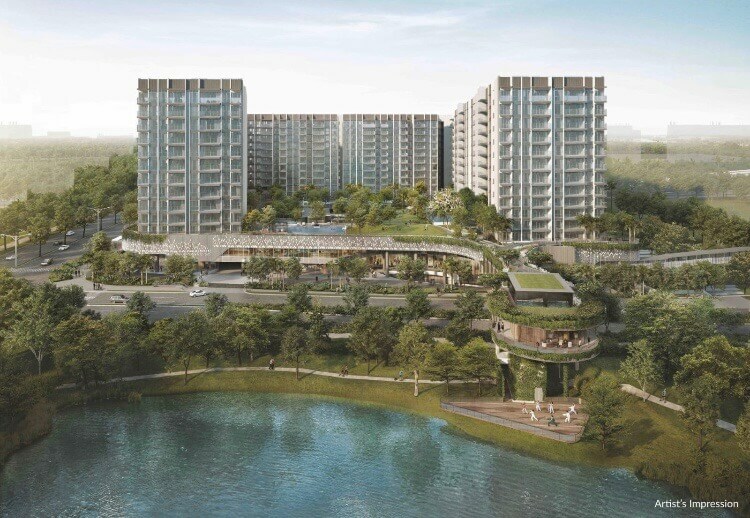 Linking seamlessly with a new age hawker centre in Woodleigh Village and Bidadari Park via Link Bridges, The Woodleigh Residences promises ultimate convenience and a lifestyle into the future for the whole family.